The Nerja Cave Foundation released details on Wednesday of more 150,000 archaeological remains unearthed in excavations which took place in the caverns moiré than 20 years ago, and which were studied and classified last month. 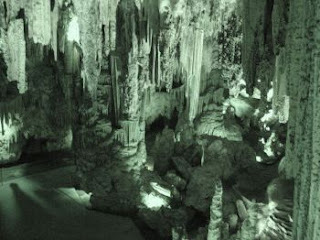 The team of experts examined close to one and a half tons of material extracted from the caves two decades ago, and amongst their discoveries, according to a report in Diario Sur, were a number of tools from the Solutrean culture, characteristic of a period previously unknown in the Nerja Caves. They may date back as long ago as 22,000 B.C. It could mean that prehistoric man escaped Ice Age northern Europe to the Costa del Sol much earlier than was previously thought. More definitive results are expected when the cataloguing process has concluded.